The Katy Trail closely follows Pleasant Hill’s railroad. The trailhead of the Katy Trail in Pleasant Hill is only a few steps away from the railroad tracks. Over 47 miles will be added to the Katy Trail, expanding it from Windsor to Pleasant Hill. 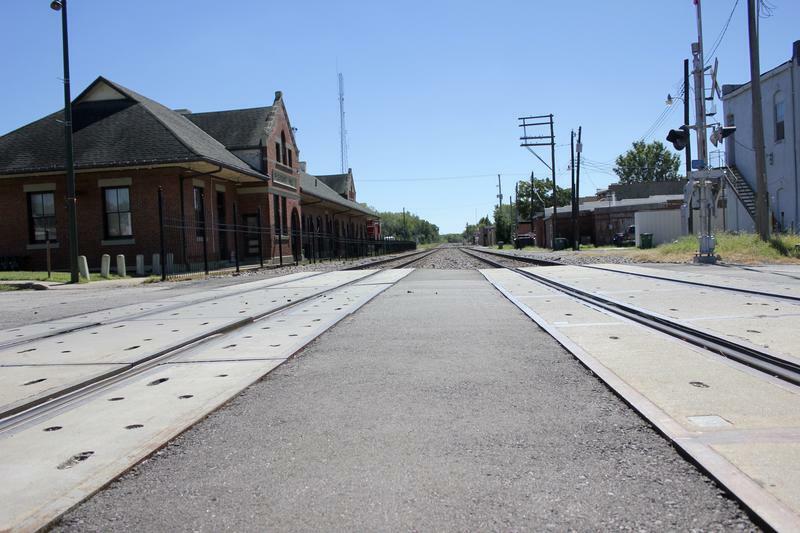 This means more land will be available for potential business to cater to the visitors to the soon-to-be largest railroad trail in the country. “[The expansion] could double my revenue. Visitors can plan a day trip from Pleasant Hill to Cabooses,” said Damon Cruce, the owner of Cruce’s Cabooses—a bed and breakfast along the Katy Trail. Cruce says he’s mostly excited about the Katy Trail expansion and confident his business will improve with the increase in cyclists along the trail. Director of State Parks Bill Bryan says the new section of the trail will open opportunities for new businesses as the Katy Trail attracts people from all over the country. Bryan says the state paid over $15.5 million on the trail expansion. However, the return on the investment is expected to be considerable. The Katy Trail currently makes $18 for every dollar the state invests in the trail, according to a study funded by the Missouri Department of Natural Resources. Boonville Tourism Director, Katie Gibson, agreed and said cyclists are a clientele they don’t want to miss. She also says the expansion will bring small towns in the state back on the map, as a heavier flow of cyclist maycome and stay in those small businesses. Cyclist Michele Stone was thrilled with the extension of the trail. Jackson County legislators want to push for a larger expansion—Kansas City’s Union Station. The plan is to connect the trail to the city through Union Station, so travelers can hop on the trail right after they arrive to Kansas City. There is no word yet on when the latest expansion will be ready. Editor's note: An earlier version of this article said the trail would be open in October. Missouri State Parks clarified that only a portion of the trail would be open in October.